Brave New World by Aldous Huxley: Huxley's future consists of a society dramatically changed by developments in reproductive technology and genetic engineering. He envisages a society where the state have complete power over new technologies, a society that is built upon consumerism. Brave New World entwines so many hellish possibilities that, ultimately, it's a warning about what are future could consist of. Believe me when I say this is one terrifying novel… I wholly recommend it to anyone who wants a grim and pessimistic portrayal of where technology could lead us. First line: A squat grey building of only thirty-four stories. Over the main entrance the words “Central London Hatchery and Conditioning Centre” and, in a shield, the World State's Motto: “Community, Identity, Stability”. 1984 by George Orwell: Something tells me I *may* have mentioned this novel a *few* times before… Orwell's prophetic future consists of a totalitarian government (ruled by the omnipresent "Big Brother"). And amongst this constant surveillance, arises our unlikely hero: everyman Winston Smith. Winston isn't a "hero" by nature, but by chance as he one day begins to write in a diary – an act which would be strictly forbidden. 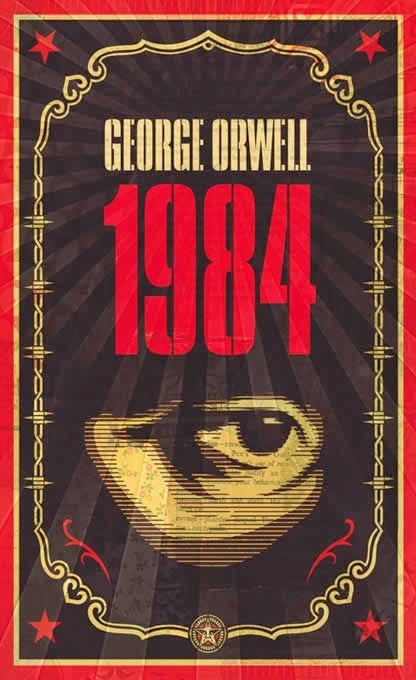 In 1984 Orwell imagines every aspect of a dystopian future (newspeak, Room 101, you name it)… this novel is perhaps the most dystopian of all dystopians. First line: It was a bright cold day in April, and the clocks were striking thirteen. 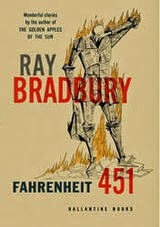 Fahrenheit 451 by Ray Bradubury: In Bradbury's America books are forbidden and any that are found are burnt by "firemen". The society are brought up to not read, think independently or be by themselves – instead they spend hours in front of the tv (anything sound familiar?). Bradbury uses his dystopian world to explore the dangers of having an ignorant society instead of a knowledgeable one (eg. the burning of books represents the destruction of knowledge). First line: It was a pleasure to burn. The Handmaid's Tale by Margaret Atwood: Atwood depicts a dystopian future where women have no rights. Birth rates are down in the post-nuclear age of Gilead, so all fertile women (referred to as the Handmaids) are forced to produce offspring in order to keep the population going. Offred is a handmaid: everything about her life is stripped away from her, she's not even trusted to read. Atwood's dystopian is perhaps the most fascinating – I've got two more chapters left and I can't coherently explain how brilliant it is. First line: We slept in what had once been the gymnasium. 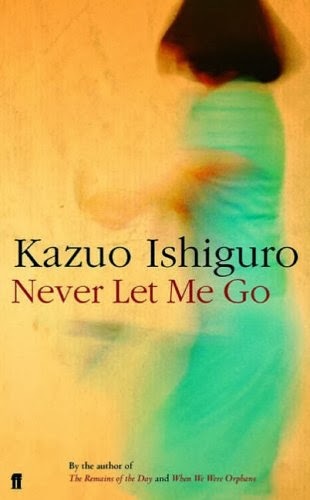 Never Let Me Go by Kazuo Ishiguro: I think the most interesting thing about Ishiguro's world is that it's easily the most character-driven. And since you know the characters so well, the slow reveal of the real purpose behind Hailsham's nurturing facade becomes all the more painful. I can't really explain why I love this dystopian without spoiling it, but Ishiguro explores childhood innocence and the way a society can exploit it. First line: My name is Kathy H. I'm thirty-one years old, and I've been a carer now for over eleven years. Do you have any favourite dystopians that you'd like to recommend? I'd love to hear your recommendations! The Handmaids Tale sounds awesome, definitely going on my to-buy list! I love dystopians but I agree with you on the whole love triangle/teen rebellion thing, although The Hunger Games is one of my favourite books of all time (let's just pretend with the story line on that one shall we). I'm currently reading 1984, and I really want to read Fahreinheit 451!!!! Like seriously!!! I tried The Handmaid's Tale before but I was too young, so I really ought to try that again. We just finished with Brave New World in my AP Lit class! (I actually turned in my analysis essay of it last night.) It's definitely a great dystopia. The society completely creeped me out, especially when it was first being introduced. The Handmaid's Tale looks like such a good one! I must read it! Haha, I wish I could study Brave New World – there's just so much to it. :) I did a bit of reading around it but I still need to read Brave New World: Revisited. And yes, if you liked Brave New World you will LOVE The Handmaid's Tale! Yay, you did my suggestion! Eheh. I agree with you so much on 1984. This was the only dystopian book that terrified me half to death. That torture scene with the hungry rats and the cage? 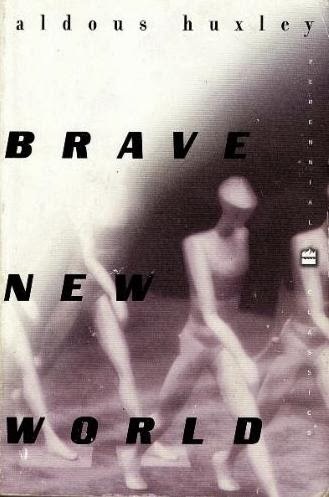 *shudders* I saw a fantastic edition of Brave New World when I was in the bookstore last week and now I'm mentally kicking myself for not getting them. Shamefully, I haven't read any of these books. BUT I do have 1984 on my TBR pile and I do plan on getting to it soon. I'll have to bump it up a bit higher on my list now you've named it as one of your top five! I really want to read all of these, especially Never Let Me Go and Fahrenheit 451. I shall have to very, very soon! Thank you Lucy! :) I think you'll enjoy those two. Have you ever read the dystopian Children of Men? I've seen the film and was wondering if the book was worth the read. Everytime I visit your blog, I seem to have a whole new list of recommendations! 1984 is something I desperately want to read, as dystopia is my absolutely favourite genre because of all of those things you mentioned in that(beautifully written, by the way) introduction. Also, I really want to read Fahrenheit 451 AND Never Let Me Go!